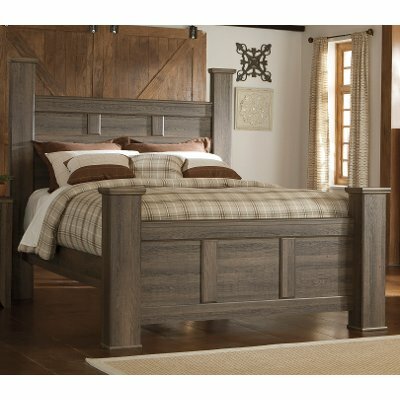 Add a modern rustic aesthetic to your bedroom spaces with the Fairfax collection—and RC Willey has it. 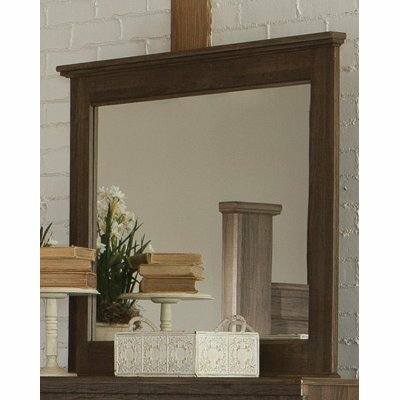 Its clean lines are beautifully finished in a vintage aged brown that is sure to update the look and feel of your bedroom. 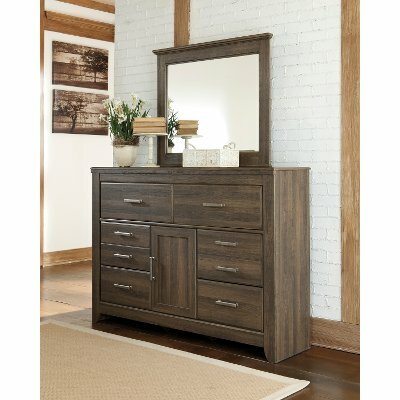 Add a modern rustic aesthetic to your home with the Fairfax collection dresser and RC Willey's got it! Its clean lines are beautifully finished in a vintage aged brown that is sure to update the look and feel of your bedroom. 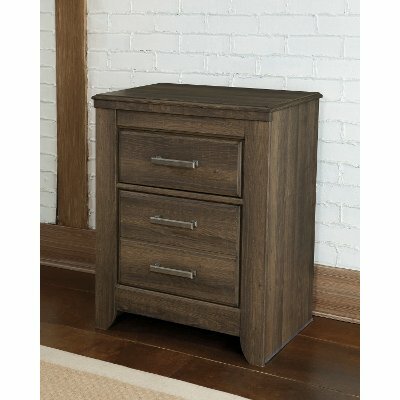 Now at RC Willey, add a modern rustic aesthetic to your home with the Fairfax collection nightstand. Its clean lines are beautifully finished in a vintage aged brown that is sure to update the look and feel of your bedroom. Rustic Modern Driftwood 4 Piece Queen Bedroom Set - Fairfax is rated 4.0 out of 5 by 6. Rated 5 out of 5 by Bettybop12 Nice Look I love it better in my home. (It looks bigger in my home than in the store FYI). The grain looks nice and it was priced really well. Drawers open easyily. Hold a bunch of things. Dresser is tall and good sized. We didnt do the mirror as we put our TV on top of it and it works great. Shout out to the Salt Lake City store for thier great customer service. We love our new bedroom! Rated 2 out of 5 by Utah4Life Not what we expected At first it looked nice and sturdy. But it started creaking a lot and every time one of use moves or tosses and turns it’s very loud. The rails flex and bow which is causing the noise and there is no way to tighten anything up. 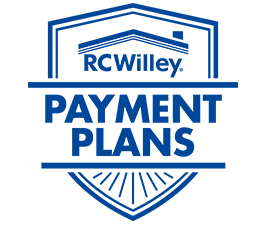 The drawers on the night stands and dresser are kind of cheap as well. Some are hard to close and you have to use some force. Rated 2 out of 5 by Nottoothrilled Kind of cheap For the price paid, this piece looks nice, but is very cheaply made. Moving the furniture caused the decorative laminate to just peel away from the particle board. Thought I was buying wood. Rated 5 out of 5 by RCGirl Great Set I was hesitant to buy this set because it was online only, but I'm glad I did. It's a heavy hard wood set that's going to last. It's bigger than I pictured and well worth the money. It doesn't look cheaply made and is beautiful in my room. Rated 5 out of 5 by MaryDraper12 Awesome Look I like this Urban look- kind of chic and vintage. It looks great in our room. We are very happy with this bedroom set and the delivery guys ere great.